MindMaze is rated 5.0 from 5 stars based on 2000 TripAdvisor reviews. No more socks or boring gifts! 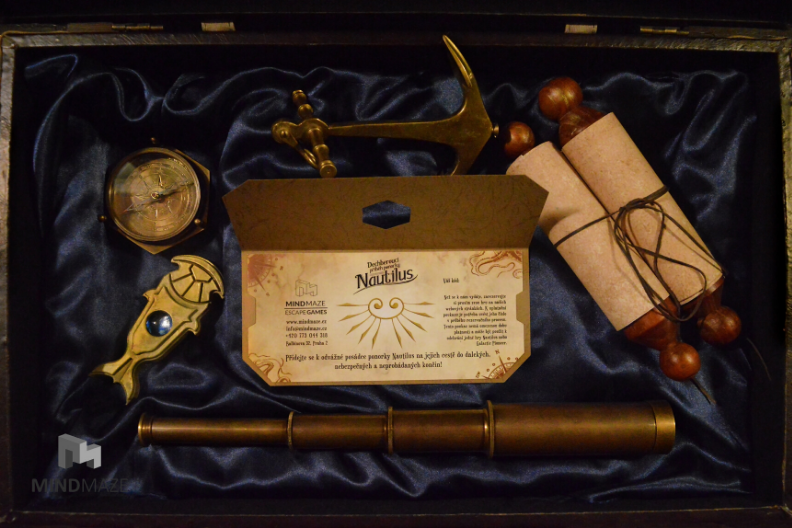 Surprise your friends, family or colleagues with a gift voucher for a MindMaze escape game! Give experience! * Personalize it! * Use it any time! The Alchemist Chamber and Enigma voucher is 1490 CZK. The price of the Galatic Pioneers voucher is 1890 CZK. Do you wish sometimes to lock up your boss or colleagues? Close them in the escape rooms of MindMaze! Time pressure, problem solving, need of communication and collaboration - similar to the everyday challenges? But environment is very different! Enter as a group but exit the game as a team! MindMaze escape games are available from 1290 CZK / team. For exact price please check the page of the specific escape room quest. The price includes 21% VAT. In case you have a voucher code you can use it during the reservation process. What are escape games about? Come and play MindMaze’s live, interactive, multiplayer escape the room games - where the stake is high and the clock is ticking! Your team will be locked in a room and given just 60 minutes to escape. But to exit the room is not so easy! Crack codes, solve puzzles and brain teasers, use what seems useless to complete the mission! Challenge your friends! Book 2 or 3 escape rooms at the same time for a competition between teams! Are you ready to begin your adventure? Can you escape the room on time? What language knowledge do I need to play MindMaze escape games? You can communicate before and during the game with our game operators in English or Czech languages. The Alchemist Chamber and Enigma games do not require language knowledge. For the game Galactic Pioneers knowledge of Czech or English language is needed. Can I change the date or time of the game after I booked it in the system? There is a possibility to change your booking details. Please get in touch with us via email or phone! Can we have 6 (or more) people in the team? Based on experience, we believe that the optimal size of a group for the games Alchemist Chamber and Enigma is between 2 and 5 people and for Galactic Pioneers it is 3-6 players. However, if you would like to play with one additional player it is possible. But more people than that would not feel comfortable during the game due to the limited space and less effective cooperation. Therefore we recommend to split in 2 or 3 smaller groups and play at the same time in multiple rooms. What is the average escape rate? Around 50% of groups gets out from Enigma within 60 minutes. In the Alchemist's Chamber game the success rate is slightly lower, around 40% of groups complete the game on time. Other groups need extra 5-10 minutes to finish the game (we try to provide them every time its possible) or in case the group does not succeed they can finish the game together with the game operator. So everyone can sleep calm knowing how it should have ended! How early should we arrive before the game starts? Please show-up 10 minutes before your game is scheduled. This is enough time to make yourself comfortable (e.g. : lock your bags and belongings in our locker, use bathroom, etc) and go through the introduction of the game. Do you have gift voucher? Voucher is purchased with open date possibility. The voucher can be used only for one game, but any of our games can be played with it. If you have further questions, please get in touch with us via email or phone! Can kids play the escape the room type of games? Yes, children from the age of 6-7 years can already enjoy the game, however adult supervision is required below the age 15. What is the recommended age for MindMaze exit games? Children from the age of 6-7 years can already enjoy the game and there’s no upper limit! The game is literally for every age group! According to our knowledge so far the most senior person who played our game was 78 years old and she still had lots of fun. We have a small baby in our family. Can he/she join us for the game? Children under age of 6 cannot actively participate in the game, however they can be in the game space with the rest of the family members. You may even take in with you pram, baby carrier, etc. Please be aware that we have stairs in the building that makes approaching our facility complicated in case you are coming with a pram. Which MindMaze escape game should I play? In case you are not sure which game to take, please fill our questionnaire (only 5 questions) to get a clear recommendation from us. What is the recommended clothing for the exit games? Dress to feel comfortable, as there are no special requirements! But if you wear glasses, don't forget them home. Are MindMaze escape games suitable for deaf groups? We can actually modify our games to make it suitable for deaf groups as well. We recommend to choose the Alchemist’s Chamber game and please contact us directly before the game so we can prepare for your the game up-front. Is the game suitable for people with wheel chair? Unfortunately not. We have stairs in the building that makes approaching our facility complicated and also the games have certain limitations. Sending message failed. Please send an email to info@mindmaze.cz. ©2013-2018 MindMaze®. All rights reserved. Please read and understand the following Terms and Conditions before booking your Game. By booking your Game, you agree to be bound by the following Terms and Conditions on behalf of your team. If you disagree with these Terms and Conditions or any part of them, you must not use our site. The language available for the conclusion of a contract online (confirmation of your reservation) and for the Terms and Conditions is Czech or English. Only person (s) who are at least 16 years of age are permitted to book a Game. It is your responsibility to check that any Games issued to you are accurate. You book the Game through the ordering form on our website. You make the reservation by filling in the contact details, afterwards filling the ordering form, you book the exact day and time for the Game. Before placing an order (sending the reservation) you are allowed to correct errors incurred during data entry. Before placing the order, you will see the exact price for the booked Game. You receive the confirmation after you book the Game to the e-mail you filled in the ordering form. You are entirely responsible for entering your details correctly when booking your Game. By confirming your booking you warrant to us that all details supplied by you are true and accurate. You can call as or send us an e-mail to correct the details. The contract between you and us is conluded at the time we sent you the confirmation of your reservation. This is a live event game, and once the booking is confirmed, the Game shall be paid, we can not give any refunds. You can reschedule the Game 8 hours before the Game the latest by the phone or by e-mail. New confirmation of time of the Game will be sent to you. The price of the Games can be found on our websites. The price depends on Game you have chosen, the date and time you have chosen and the number of participants fo the Game. The price of the Game is effective the whole time period it can be found on our website. Full payment is required before start of the Game. You can pay in cash, wire transfer, by card or by vouchers. In case less people attending the game than it is booked for the price difference will not be reimbursed. The costs of the means of distance communication does not differ from the basic rate, i.e. the price of the Game. You bear your costs for the distance communication. We can issue an invoice in case you ask for it. In case you do not pay before the start of the Game, you are not allowed to attend the Game and we may ask you for the price of the booked Game even you do not attend the Game. We may ask you for the price of the booked Game in case of no show-up as well. You hereby attest and verify that your physical condition will allow you to participate in this event. Cardiac patients, people with chronic illness under treatment should not participate in the Game. You should enter the Game at your own responsibility. The Game is not recommended for children under the age of 6, children under 16 can participate under adult supervision. Persons under the influence of drugs or alcohol are not eligible to participate in the game. You are not allowed to enter the game area with dangerous stabbing, cutting, or firearms or any other type of items which can be harmful. Smoking is prohibited in the entire area of Mindmaze property. Food or drink must not be consumed whist engaging in the Game. You must adhere at all times to all safety signs displayed, or other directions of Game, through the Game facility. Mobile phones must not be used whilst engaged in the Game activities. You are not allowed to takie pictures, video and audio record. Photos of each team will be taken during and at the end of the game. Teams are required to show up 10-15 minutes prior to the booked time in order to have enough time to receive information regarding the rules of the Game. If you are late for more than 20 minutes of the original time of your booking, the reservation becomes a no-show automatically and you won’t be able to start your game. To re-book another slot must be of your own expenses and according to current availability. If you are late on arrival, the countdown for the game will start. In the Game shall take part only amount of players recommended on our website. You may not use, copy, reproduce, modify, adapt, translate, create derivative works, publish, transfer, distribute, or sell information that we consider confidential (in whole or part) without prior consent from us. We process personal data according to Regulation (EU) 2016/679 Of The European Parliament And Of The Council of 27 April 2016 on the protection of natural persons with regard to the processing of personal data and on the free movement of such data, and repealing Directive 95/46/EC (General Data Protection Regulation). Please find accurate information here. In the event of defective performance of the Game you have rights according to corresponding provisions of the Law No. 89/2012 Coll., Civil Code and in case of consumers Law No. 634/1992 Coll., on the protection of consumers. You can claim these rights by contacting us by e-mail or by post. Please find the contact details on our website. You ask us to perform the services before end of the time limit for withdrawal and you confirm, we informed you before concluding the contract that he shall thereby lose the right of withdrawal. We are entitled to charge you for any damage, which is intentional or caused by misuse of items. These terms and conditions and any contract concluded incorporating these terms and conditions shall be governed by Czech law and all disputes shall be submitted to the exclusive jurisdiction of the Czech courts. We store the contract and terms and conditions in the electronic form and they are not physically accessible. We are allowed to change or amend this Terms and Conditions. The change is effective publishing on our website. The website www.mindmaze.cz referred to as the “website" is administered by MindMaze s.r.o., registered at Tyršova 1833/9, Praha 2, 12000, Czech Republic, VAT number CZ03149650, Identification number 03149650, registered with the Commercial registry maintained by the Municipal Court in Prague, section C, number 227282, referred to as "MindMaze Prague", "we", "us". The term "you" refers to the user or viewer of our website as well as to all customers to whom we provide our services, especially escape games. Your privacy is important to us. To better protect your privacy, we provide this notice explaining our personal data practice and the choices you can make about the way your personal data is collected and used. We process personal data according to Regulation (EU) 2016/679 Of The European Parliament And Of The Council of 27 April 2016 on the protection of natural persons with regard to the processing of personal data and on the free movement of such data, and repealing Directive 95/46/EC (General Data Protection Regulation) („Regulation“). We may process your photo taken after escape game as well. In the meaning of the Regulation personal data means any information relating to an identified or identifiable natural person („Personal Data“). Personal Data can be processed with your consent or without it. -processing is necessary for the performance of a task carried out in the public interest. We may process above mentioned Personal Data for marketing purposes, but only in case you grant us consent. -to send you important information related to your reservations of escape game such as reservation notifications and updated reservation status and reminder email about the reservation date, time and location. -to contact you after your game regarding any unresolved issue in the quality of services we provided, or any unresolved issue that is contrary to our terms and conditions. -to send you an e-mail after the game with your photo taken after the game, and a request to leave us a review on specific websites, such as our Trip Advisor or Google or Facebook page. - to send you a request to fill out a survey regarding the game(s) you have played to improve our services. We may send you a reminder for our request regarding the survey as well. We might use your mobile phone number to send you SMS messages or call you regarding details or any changes related to your reservations of escape game. 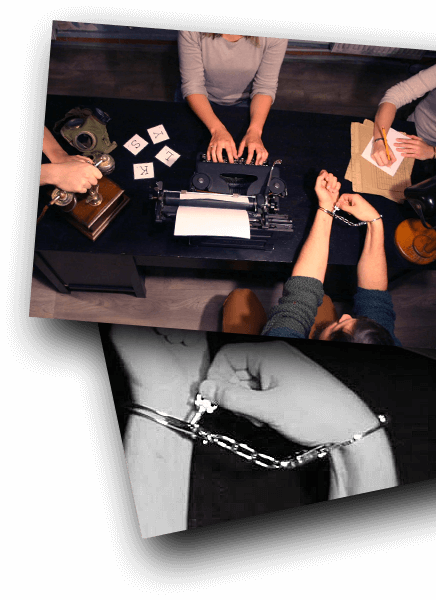 When booking the escape game you can grant us consent to subscribe our newsletter. You may unsubscribe from the newsletter anytime by clicking on the button “unsubscribe” included in our newsletters. The provider (Xtreeme Sagl) of our booking system, “Planyo.com” stores your answer whether you agreed or not to receive newsletters. In case you subscribe to newsletters, you will receive promotional e-mails from us in the future (e.g. about new game(s) opening, special offers etc.). Personal Data for marketing purposes are not processed automated. In case you ask us for an invoice, we use the Personal Data (billing information) to issue invoice for services that we provided you. We use them to answer your questions when you contact us online. With every visit to our website, usage data are transmitted through the respective web browser and are stored in log files. Personal Data will be stored in anonymous form for statistical purposes to improve the website and to protect servers from abusing of third parties which is our legitimate interest according to Article 6 para 1 letter f) of the Regulation, and we protect your interests as well. Further we process Personal Data to fulfill the obligations resulting from Law No. 127/2005 Coll., on Certain Electronic Communications. We process Personal Data from website automated, we do not use profiling. Automated processing means processing of Personal Data, where automated information systems are used exclusively, e.g. IT applications, software etc. We may use non-identifying and aggregate information to improve design and promote our website, but we would not disclose anything that could be used to identify you. 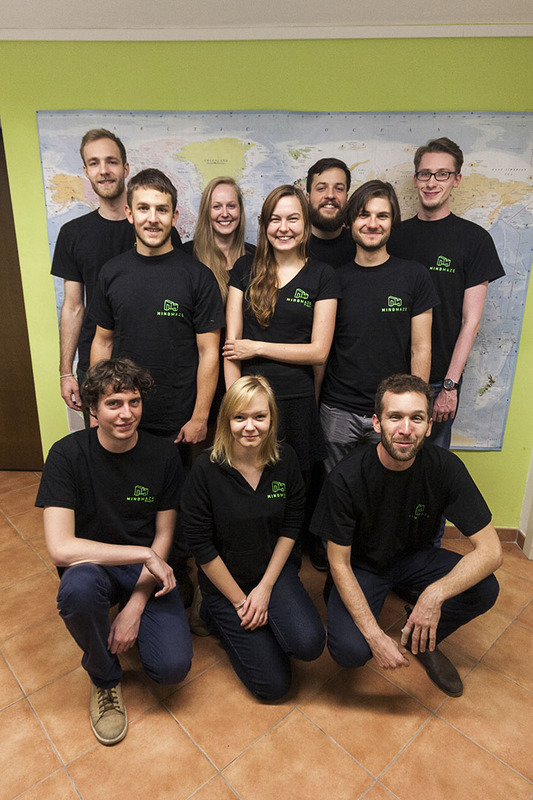 MindMaze Prague as a controller and his employees or any other people MindMaze cooperate with. MindMaze ensures that persons authorised to process the Personal data have committed themselves to confidentiality or are under an appropriate statutory obligation of confidentiality and they use Personal Data for the clearly defined purposes. We implemented appropriate technical and organisational measures to avoid unauthorized or incidental access, maintain data accuracy, and ensure the correct use of Personal Data. We have appropriate physical, electronic, and managerial procedures to safeguard and secure Personal Data we collect. When processing the Personal Data, there shall be no unauthorized transfer of Personal Data to third countries or international organizations (with exclusions above). Protecting the privacy of the very young is especially important. In case we process Personal Data in relation to the offer of information society services (e.g. newsletters) directly to a child below the age of 16 years, such processing shall be lawful only if and to the extent that consent is given or authorised by the holder of parental responsibility over the child. If we process the Personal Data for marketing purposes, we store your Personal Data till you withdraw your consent unless otherwise specified longer period by other legal act. Our cookies may be session cookies (temporary cookies that identify and track users within our websites, applications or services which are deleted when you close your browser or leave your session in the application or service) or persistent cookies (cookies which enable our websites, applications or services to remember who you are and to remember your preferences within our websites, applications or services and which will stay on your computer or device after you close your browser or leave your session in the application or service). Our website uses Google Analytics, a web analysis service of Google, Inc., 1600 Amphitheatre Parkway, Mountain View, CA 94043 USA, www.google.com (“Google Analytics” or “Google”). Google Analytics employs cookies that are stored to your computer in order to facilitate an analysis of your use of the site. The information generated by these cookies, such as time, place and frequency of your visits to our site, including your IP address, is transmitted to Google’s location in the US and stored there.